Wondering how to make a statement only with flowers? There cannot be a better choice than this 5 feet designer arrangement. Standing taller than all bouquets and gifts, this one will sweep anyone off their feet without fail. 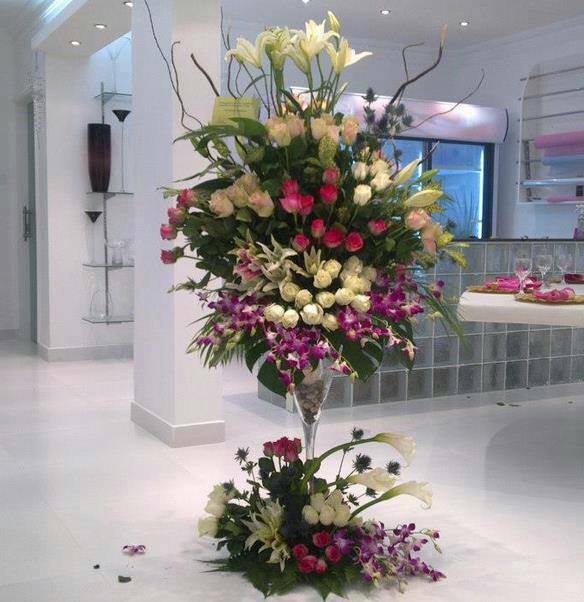 The arrangement consists of 100 roses of different colours, 24 orchids, 15 lilies and attractive fillers to add more charm. If your wife is upset that you can't make it to your hometown on your anniversary, this bouquet will surely tell her how apologetic you are feeling for the miss. You can also choose this one for your boss as a token of love from all employees in your organisation and get it delivered to their home! Have a Question about 5 Feet Tower Product?